A cyclist is said to be riding to Abuja after arriving Nigeria from Morroco. 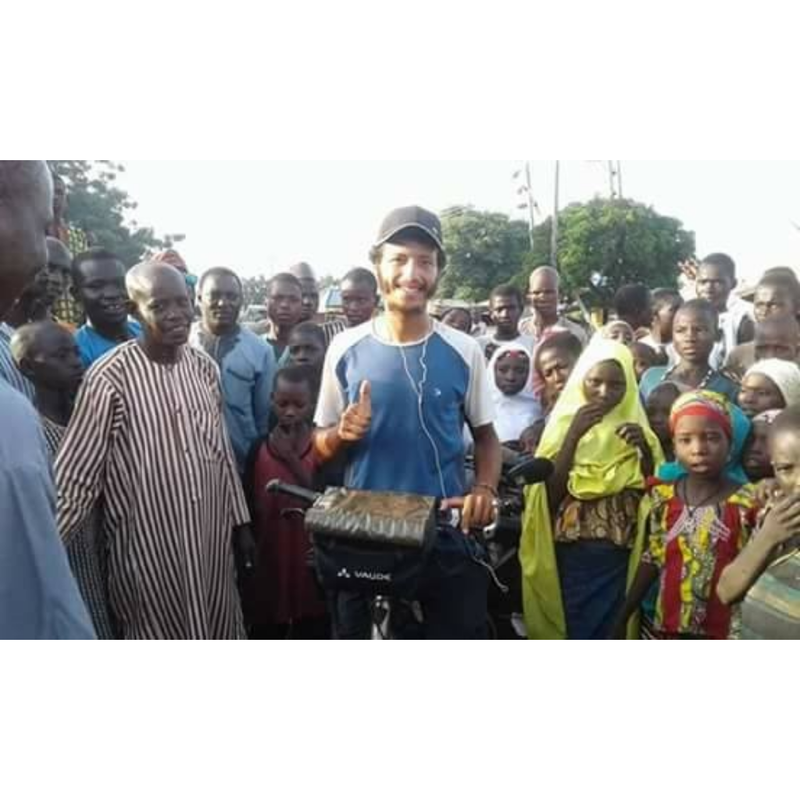 According to reports, the man who is a Muslim, said he wants to tour Nigeria and take pictures after hearing so much about the country. 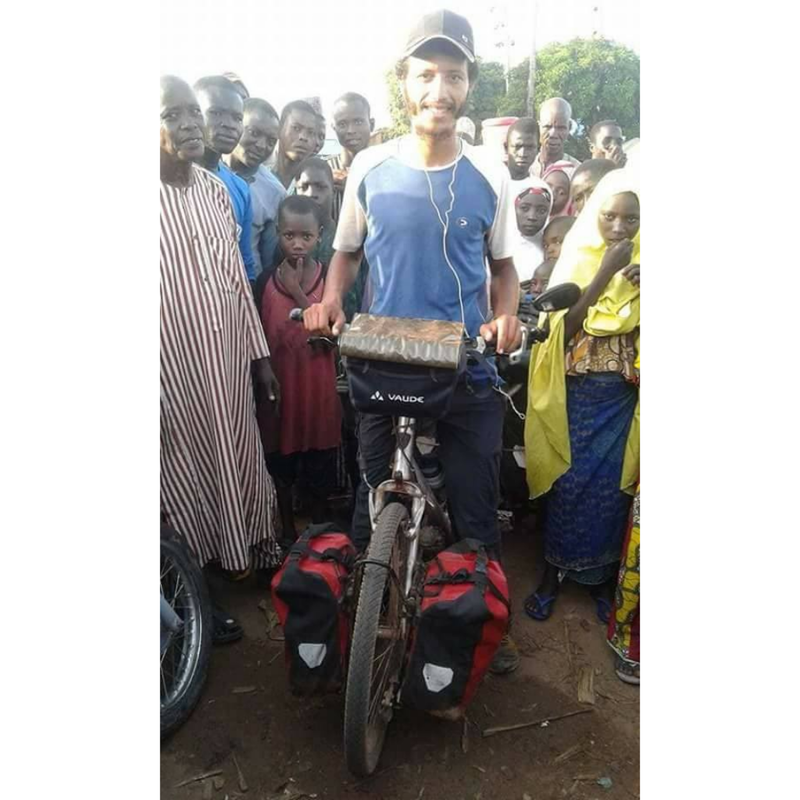 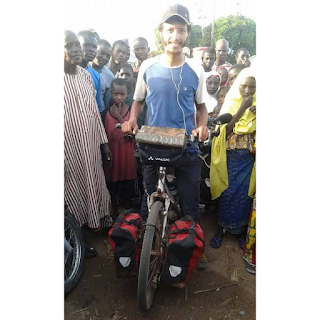 An eyewitness who goes by the name Sani Musa Saminaka on Facebook, disclosed that he saw the Moroccan man today at Shanga local government area in Kebbi State as the man took pictures with the excited villagers who supported him for his journey.